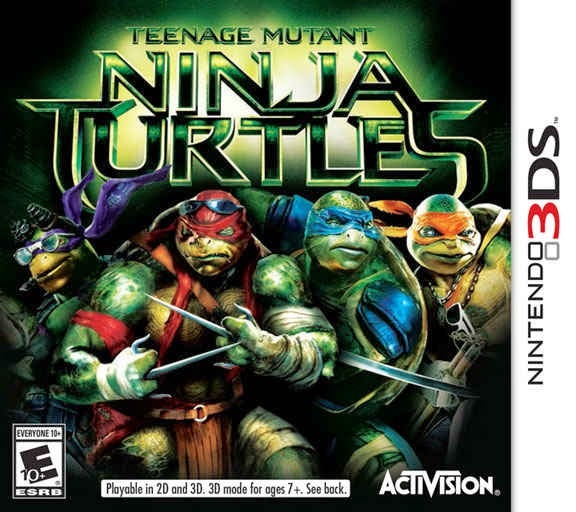 Earlier today Activision announced a new Teenage Mutant Ninja Turtles movie tie-in game for the Nintendo 3DS developed by Magic Pockets, who also made the Nickelodeon TMNT game for Xbox 360, the Wii, and the 3DS. 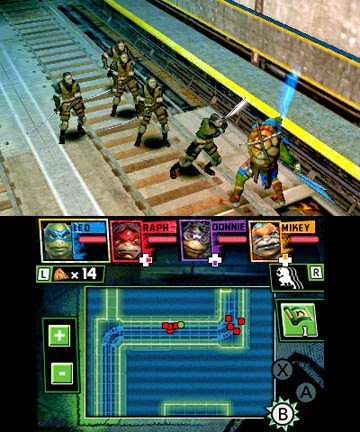 Mad genius Baxter Stockman's mutant and robotic horrors have teamed up with the shadowy armies of the Foot Clan to terrorize New York City, and only Leonardo, Raphael, Michelangelo and Donatello can protect its subways, sewers, rooftops and streets from their devastating campaign. The game is a 3rd person hack-n-slash, with the ability to grow in power and skill points. Each turtle will have their own abilities and strengths, as well as the option to swap between any of the 4 at any time. The only thing that really caught my eye was the mention of crafting, as we'll apparently be able to craft new weapons with materials collected throughout the levels in the Turtle's Lair. 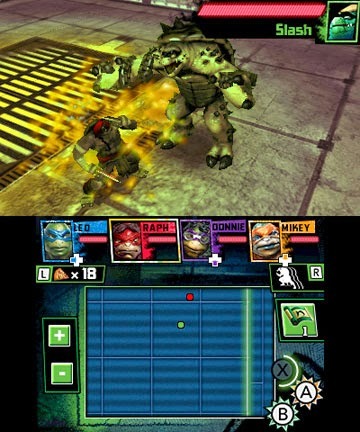 As much as I want to have high hopes for this game, the Nickelodeon TMNT game was quite bad. To make matters a bit worse, this one looks like it might just be a reskin of that game. I can't say that for certain, and I'll definitely be checking this out- but I'll be doing it with less than optimal hopes. Teenage Mutant Ninja Turtles will be released later this summer in time for the August 8th release date of the film. In all seriousness- Activision needs to make a TMNT game as an open-world 4-player action-brawler or beat-em-up with a good budget. Even keep it based on the Nickelodeon show and it would sell a billion copies. Simple as that.